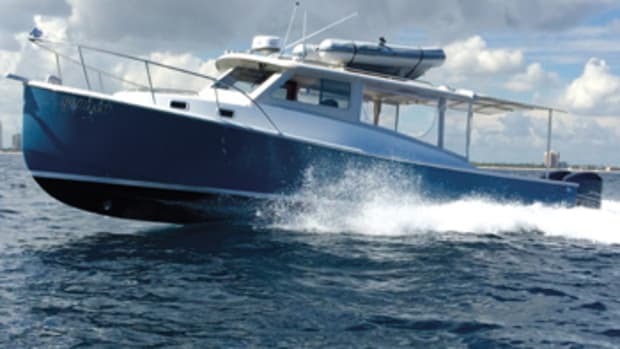 Power catamarans are known for their smooth ride and big-water capability. They’re also known for what some consider a clunky, unflattering look — a characteristic that in part has muted their popularity. 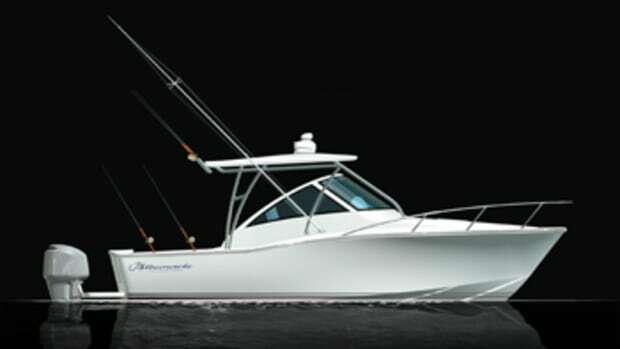 Tideline Boats co-owners George Stronach and Michael Collins grew up around boats and have owned catamarans. “We thought there has got to be a way to build a better-looking cat,” Collins says. 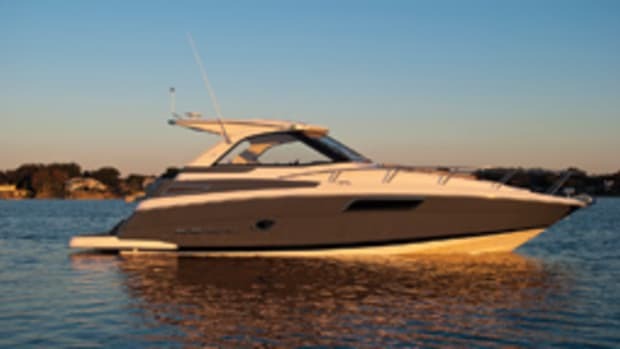 “We went back to our Carolina roots to find the keys to making it easier on the eyes.” For instance, they gave the boat a rounded bow rather than the squared-off shape that’s typical of cats. 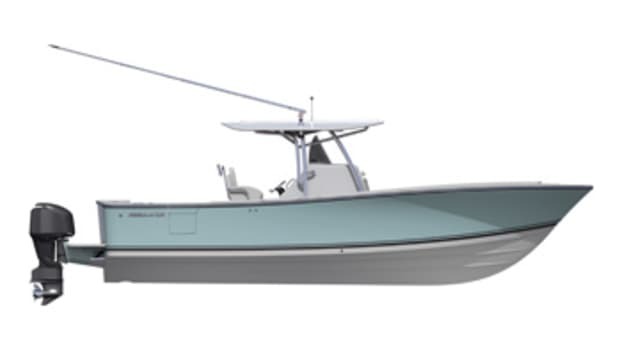 “We settled on the size of 35 [feet] because it allows for everything needed in a hard-core offshore fishing platform while still being able to perform well with a twin-engine setup,” says Stronach. 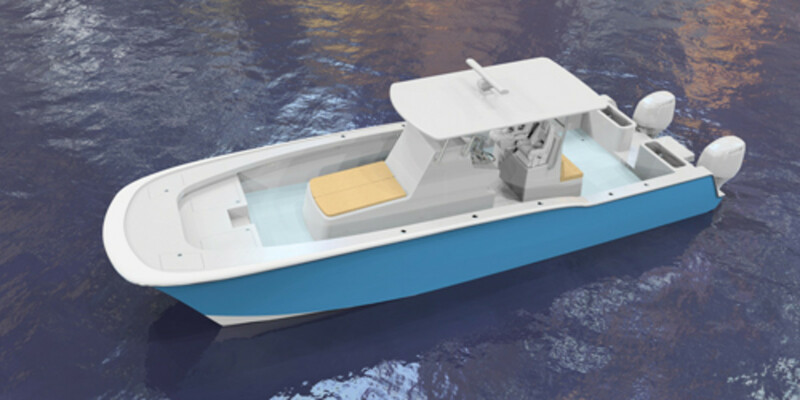 The design allows for insulated stowage and live well space, room for a head in the console, a two-seat helm station and a cushioned lounge (with stowage) on the console’s forward section. 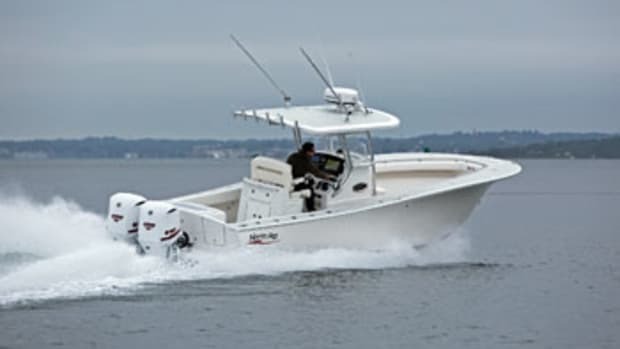 Twin live wells anchor the cockpit corners, and a centerline walkthrough accesses the swim platform and outboards. 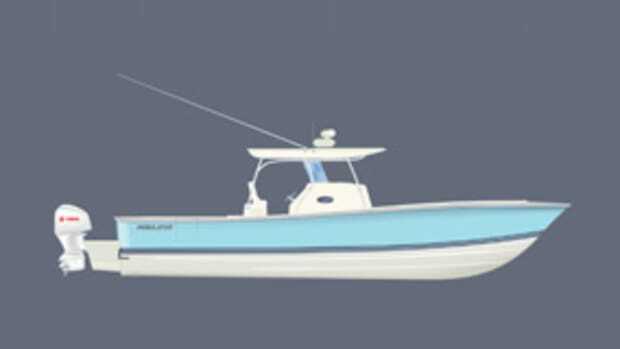 Two fishboxes are built into the foredeck, and there are two raised stowage lockers at the bow. Tideline builds the boat with a cored hull and deck, using infused vinylester resin. 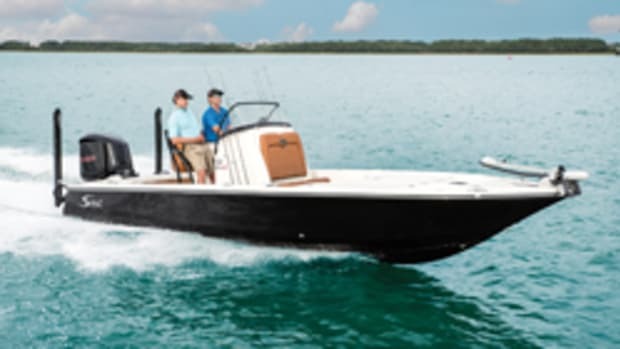 Powered with twin Yamaha F350s, she’ll likely “be a 60-mph boat with a comfortable cruise in the mid-40 mph range,” Stronach says. 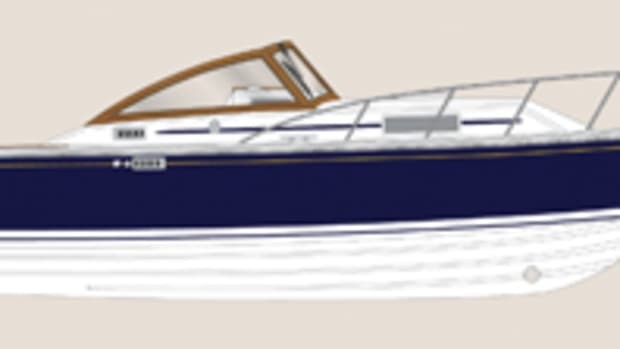 The builder has sold two Tideline 35s. “The first one will be completed in late winter or early spring,” Stronach says. The price range is $250,000 to $275,000 with the F350s.